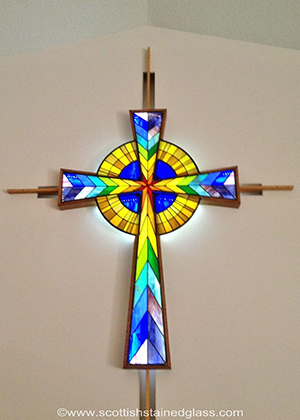 Custom designing and building chapel and church stained glass is one of our passions. We are always honored to add to the phenomenal tradition of religious stained glass that has existed around the world for centuries. Religious stained glass in European chapels and churches became popular during the Middle Ages when it glorified scenes from the Bible to a population generally unable to read the Bible. In fact, Medieval stained glass art in churches was known as the Poor Man’s Bible. 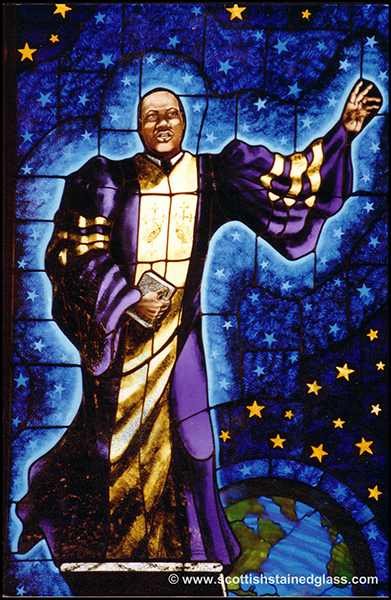 These days, congregations are literate, but the tradition of adding stained glass to chapels and churches remains. It is not just a nod to history, but a way of adding inspiration via beauty, a way for worshippers to feel uplifted and connected. With our custom religious stained glass designs, we create stained glass windows and doors individually for any chapel or church. Any denomination, any type of artwork, any size or shape. We work with that religious organization’s budget, creating high-quality windows that are built to stand the test of time. When it comes to chapel stained glass, that could include Catholic chapels, or non-denominational chapels attached to universities, hospitals, airports, or any other place. We even create beautiful custom stained glass for private residential chapels or prayer rooms. If you have such a room in your home where you regularly go to pray or meditate, imagine the sun streaming through a stunning, custom designed stained glass window. It could be vividly colored, like traditional religious stained glass, or it could be colorless leaded stained glass. Popular themes include Biblical scenes, icons, saints, angels, and symbology that carries an important message to that particular denomination or congregation. Or it can be less literal, focusing on the beauty of color and pattern alone to provide the uplifting experience. 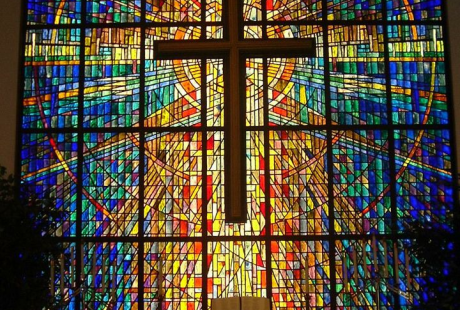 At Custom Stained Glass Houston, we have worked with churches, chapels, cathedrals, and other religious institutions around the country. 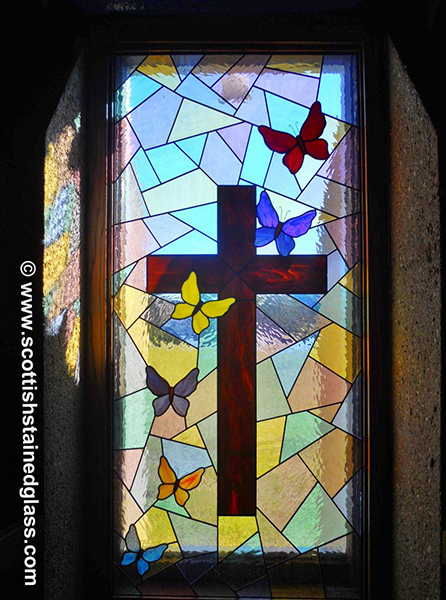 Click here to see our religious stained glass gallery, containing just some of the many chapels and church stained glass windows we have created over the past twenty or so years. You might notice that some of our chapel and church stained glass windows are more traditional in theme and some are simpler and more modern. When we come for the initial design consultation, we will discuss what themes or styles or images you might want to be included in the stained glass windows. From the elaborate to the minimalist, from the traditional to the avant-garde, nothing is off the table when it comes to religious stained glass designs. 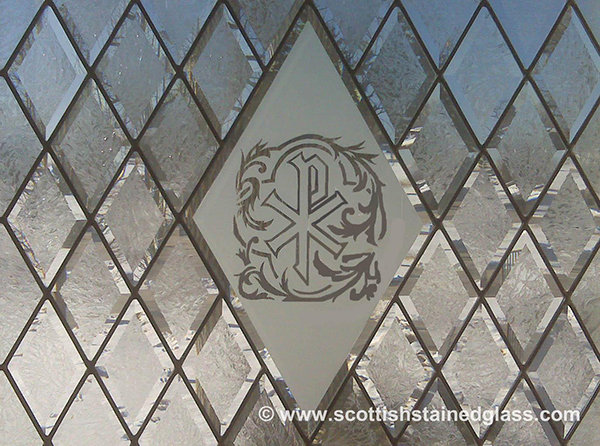 For the finest quality religious stained glass for chapels and churches, we hope you will contact us today. We would be honored to earn your business.